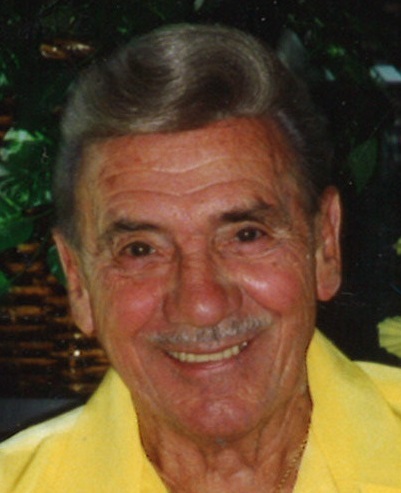 On July 29, 2018 Herbert "Big Daddy" R. Marshall loving companion of 25 yrs to the late Jo Ann Hollinger; devoted father of Anna Regulski and her husband Christopher, Margie Ravenscroft and Henry Schubert, Steve Marshall and his wife Betty, Vincent Marshall and his wife Mary, Ricky Sheppard, Randy Marshall and his wife Angie, the late Herbert V. Marshall, the late Tony Marshall, the late Wayne Sheppard and the late David Shahan; dear step-father of Sharon Jordan and the late Michele White; cherished brother of Madeline Lupton, Rosie Rossow, Carter Marshall, Richard Marshall, Jeannie Hewes, the late Audrey Schriefer, the late Sharen Shore, the late Joan Phipps and the late Dorthy Hoyt. Also survived by numerous grandchildren, great-grandchildren, great-great-grandchildren and many other loving relatives and friends. A funeral service will be held at the Connelly Funeral Home of Essex, 300 Mace Avenue on Friday at 11 am. Visiting hours will be held on Thursday from 3-5 and 7-9 pm. Interment at Gardens of Faith Cemetery.